Baked honey nut raspberry oatmeal from Munchin with Munchkins is the breakfast of champions. 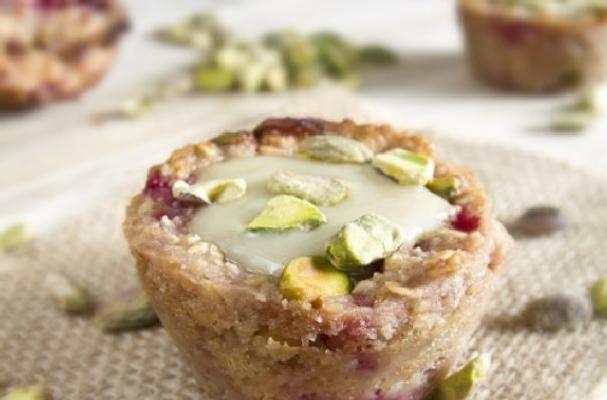 These baked oatmeal cupcakes are made in muffin tins so that your breakfast is perfectly portioned and ready to go each morning. You can substitute the raspberries for any other fruit. Peach and blueberry are especially delicious.